Digital and technological transformation requires insight and expertise alongside the support and structure of long-standing relationships, says Christo Pieters, group executive: Services and Solutions for SAP Software, Britehouse. Christo Pieters, Group Executive: Services and Solutions for SAP Software, Britehouse. Success in mercurial markets and times of rapid technological transformation requires that a business be prepared to pivot and adapt on demand. 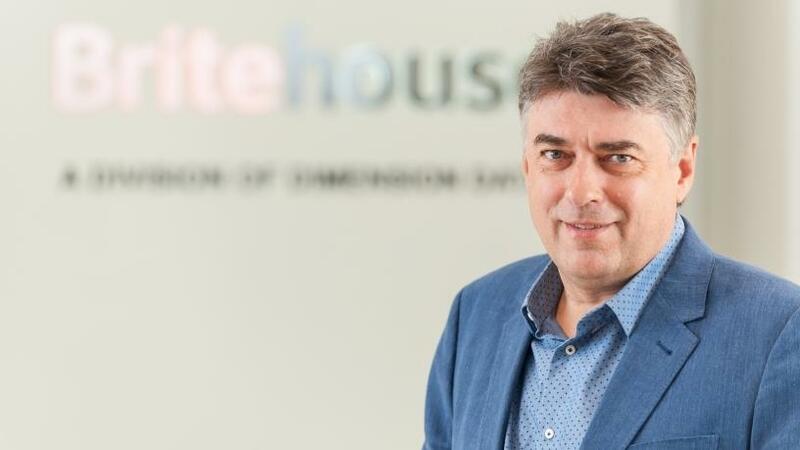 This is the story of Britehouse, a company that has grown from its original roots as Pebbletree Consulting, providing market-leading SAP solutions to the South African organisation, to a full division of Dimension Data. The company's growth has been significant, moving from the role of consulting partner to SAP to becoming a globally preferred service provider. "Our services are underwritten by SAP and we are a global enterprise SAP HANA partner," says Christo Pieters, Group Executive: Services and Solutions for SAP Software, Britehouse. "This means that our clients are assured of service and support globally, and comprehensive hosting in one of our local technology centres. We also recently obtained a global application services management partnership with SAP." These key partnerships around services include SAP Leonardo products, particularly with regards to the Internet of things (IOT), and SAP Litehouse, which allows for Britehouse to develop integrated public cloud offerings that are closely linked to market demand and corporate need. "The cloud, digital transformation and IOT are relevant and accessible tools and technologies that have the potential to support growth and expansion sustainably," says Pieters. "However, it is important to note that the client's needs have to be fully understood from the outset before integration and implementation. For us, it is critical that we have a realistic network discussion before we can put a relevant solution in place. The goal is to ensure that clients derive real business value out of their systems of record." Britehouse supports clients' rights from the optimisation of existing SAP products to implementing the application management environment. By understanding the ambitions of the organisation, the company can determine what tools and technologies would be best suited to take them into the next level of transformation and achieve sustainable digital efficiencies. "We can use any one of our solutions to ensure that our clients' ambitions are met," says Pieters. Today, it is end-customer demand that's dictating what customers want and when they want it. The goal is to create systems that are capable of meeting these needs, providing the organisation with the agility it needs to adapt and change on demand. Britehouse prides itself on its ability to use the data within a client's database to drive value, improve processes and transform processes. "We recently used our IP and SAP products in the logistics space to increase volumes of goods movements in the Middle East," adds Pieters. "In the agricultural space, we are using SAP Leonardo and IOT to assist our clients in achieving better crop yield, water management and transport logistics." In addition to determining which technology is the best fit for the business challenge, Britehouse is also capable of providing the organisation with a full stack offering. This full stack describes the company's ability to leverage off its partnership with SAP and Dimension Data's services to provide customers with everything from consulting to hugely technical back-end support and services that sit in its data centres. "We run everything from enterprise resource management to the SAP tech in the cloud, and this is one of our biggest differentiators," says Pieters. "Customers don't just want SAP, they want to move from the real world into the cloud. Being a division of Dimension Data, we can provide a rich hybrid solution and the ability to have all services run, managed and supported by a single service provider." The technology is complex and Britehouse looks to creating solutions that make it easier for the customer while increasing their value and return on investment. With this high-level support, the organisation leaves the care for all the technical products in the hands of the experts and focuses on the business at hand. "We look after all those technical products for our customers and this is another of our differentiators," says Pieters. "We can provide anything from a robust cloud implementation through to a strategic shift into comprehensive digital transformation to see which components a client truly needs to move to the next level. Then we implement all of these, run them in the cloud and provide every solution as a service." The world has moved into the hands of the customer. To truly thrive, not just survive, the organisation has to be prepared to make the right decisions that impact on customer engagement and long-term growth. With Britehouse, organisations are assured of expertise and implementation of technologies designed to answer these challenges head-on. They also get the full stack service, which assures them of seamless access to these technologies at the highest end of the digital transformation agenda.